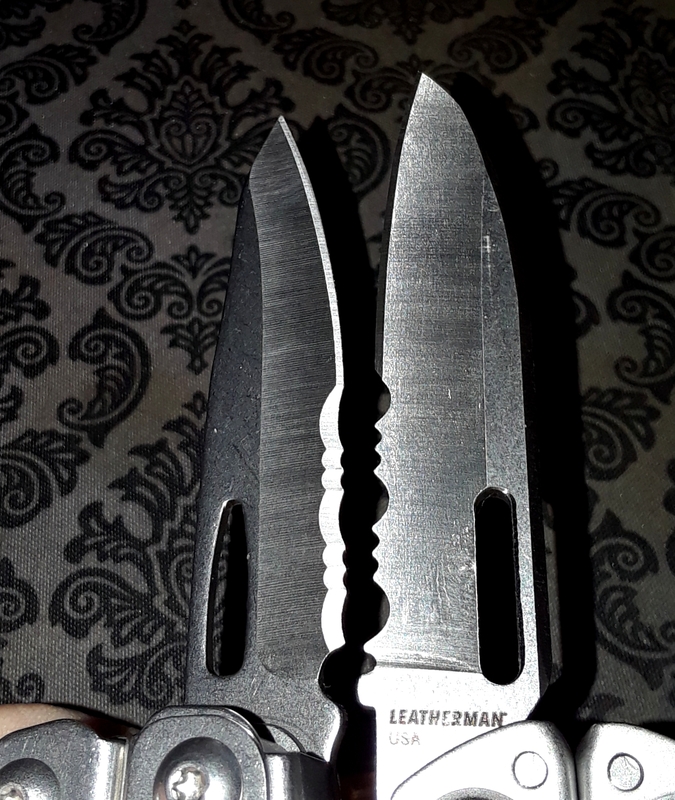 I mght try a small round file, but its very small, maybe the lansky blade medic tapered file would work, i'm just don't want to ruin that...even though I can't sharpen worth a lick with it. OK. Did some comparisons to what I consider the closest competitor from LM for the LM Free P2. AND IT AIN'T THE WAVE. IT IS THE................WAIT FOR IT.................THE WINGMAN! So, to start, let me be clear. The Wingman is in no way, shape, quality-wise or aesthetically comparable to the P2. It just has a similar set of tools, excluding the P2's awl and medium flat driver. The Wingman does not have an awl or medium flat driver. 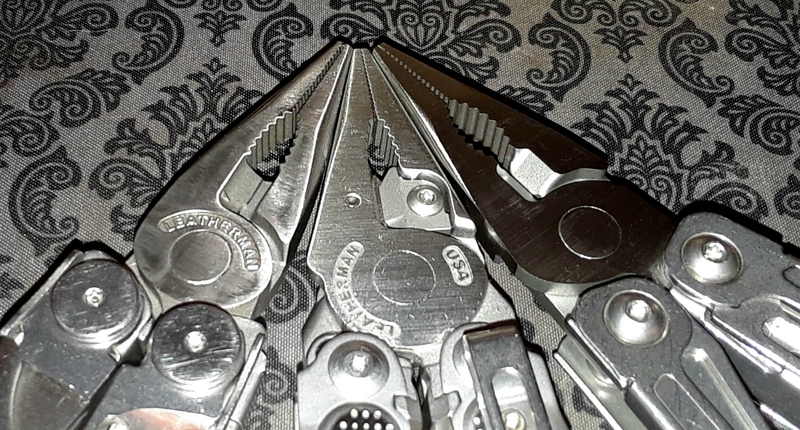 If somebody wants a basic tool and wants a Leatherman, the Wingman is still is a great option. I like the shape of the P2 blade better, and it is a bit longer. I have always felt the Wingman scissors were flimsy and akward to use. 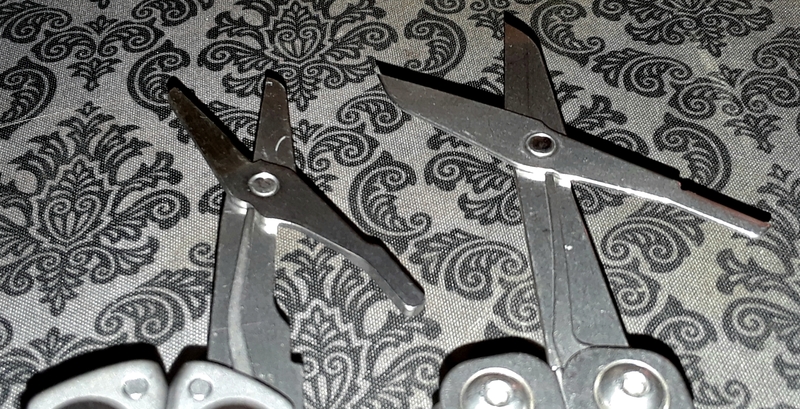 The Free scissors aren't as "big"(which isn't a great single-measure of usefulness), but they are leagues above the Wingman scissors in quality. Much better steel stock, rigidity, and cut. 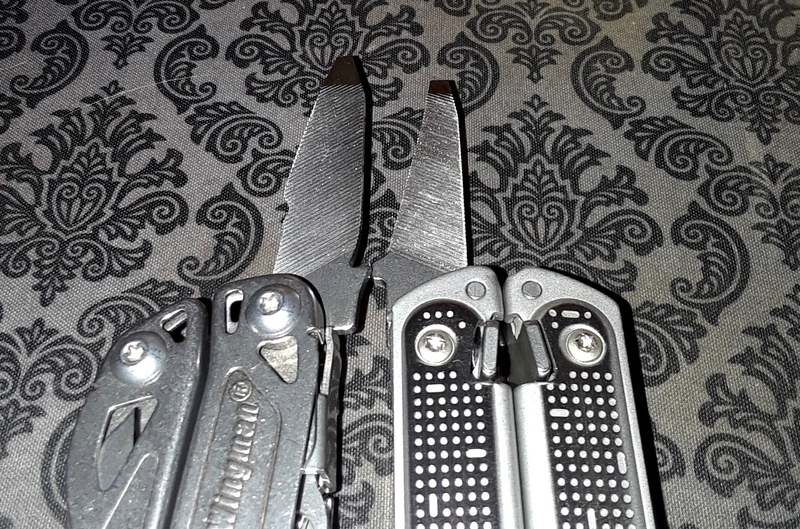 The phillips is much better in form than the Wingman, and the P2 also has a bottle opener on the phillips. The blade stock, while the P2's looks much thicker than the Wingman phillips, is the same thickness. The better formed tip makes a huge difference though. The flat driver tip on the Wingman is too thick to be useful, but makes a decent pry tool. The P2 flat driver steel stock is 0.8mm thicker than the steel stock on the Wingman. The P2 tip is more of a useful size and has a sharpened edge for miscellaneous applications. Also the P2 big-flat can be used as a pry tool without worrying too much. The Wingman file is wider, but is only a single cut on one side. The P2 has a single cut on one side and a cross-cut on the other side. Both are tipped with a medium/small-ish flat driver. 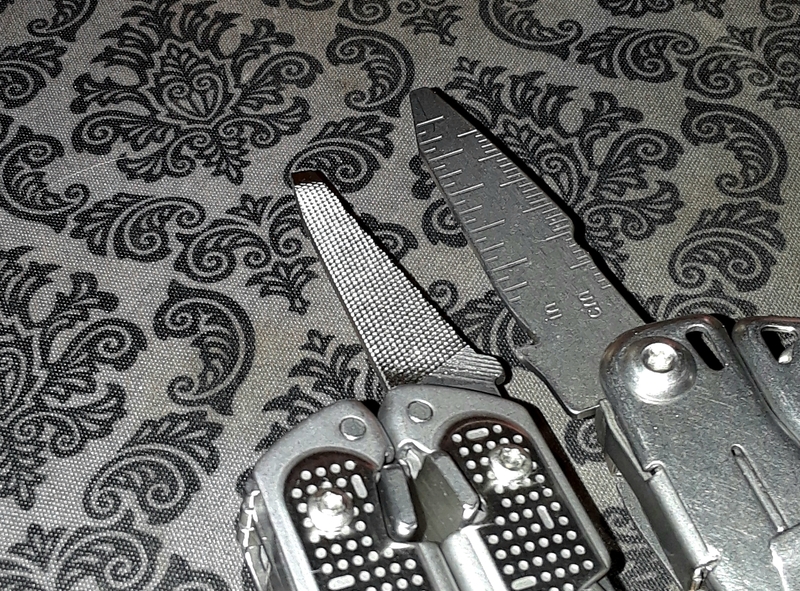 The P2 uses a SAK-style quarter-circle opener, while the Wingman uses the classic LM can opener with wire stripper. The P2 has a smaller wire stripper on the medium long-flat driver. 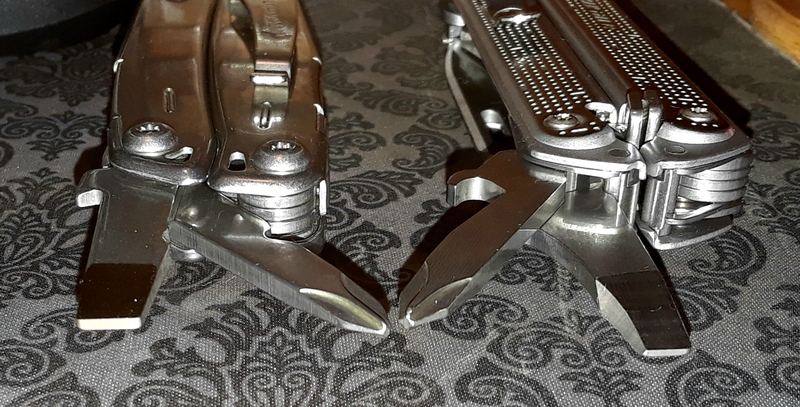 The P2 has a beautifully machined pliers head, but the bolt-grip area is similar to the Wave's(but smaller) and much smaller than the Wingman's. 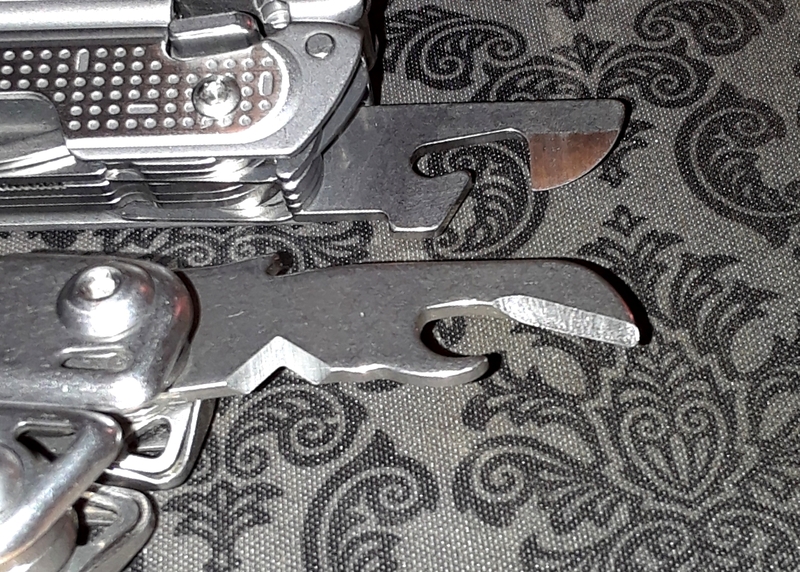 Note: Wingman pliers are spring loaded and are infamous for having slop. The P2, like the Wave, has no slop in the pliers head. If you have an issue with paying $119 for an urban type MT that only offers massively superior fit & finish/action/style/comfort over the Wingman, but doesn't really add any true practical function(aside from the long medium flat driver and awl/micro driver that the P2 has), then the Wingman is still a good option. My choice of the two would be the P2. Mostly, because I really like the fit & finish, mechanism, action, and style. The fit & finish are above the SwissTool Spirit on the totem pole. The P2 is 100% made in the US, while the Wingman uses a portion of outsourced parts, which isn't important to everyone, but some of us think it is awesome the P2 is full-on US made. The P2 is MASSIVELY more comfortable to use. The P2 has all-locking implements that can be accessed ALL from the outside of the tool WITH JUST ONE HAND. The only other full-OHO is the OHT from LM, but that tool isn't practical for pocket carry. I'll do another quick write-up with the P4 tomorrow(if it comes) and Wave, since their toolsets are similar. The P2 toolset is similar to the Wingman. I take for granted the access I have to so many tools at home and work. I use a $10 set of small diamond coated needle files I bought at harbor freight. Great files for hard metal. You're welcome and thank you, Matt!